Every year, our state (Land) - North Rhine-Westphalia - is host to millions of visitors from abroad: people on business, tourists visiting our cities and discovering our culture, exchange students or people who are here as part of a town twinning partnership. Most of them stay just a short time - North Rhine-Westphalia is not the most obvious place for a holiday, after all. But visitors who do come here are not looking for sun, sea and sand; they want to get to know our country and our people, do some successful cross-border business or keep up personal contacts. This short brochure aims to be an initial introduction for anyone who would like to get to know us better and would like to find out about our history and our political system. 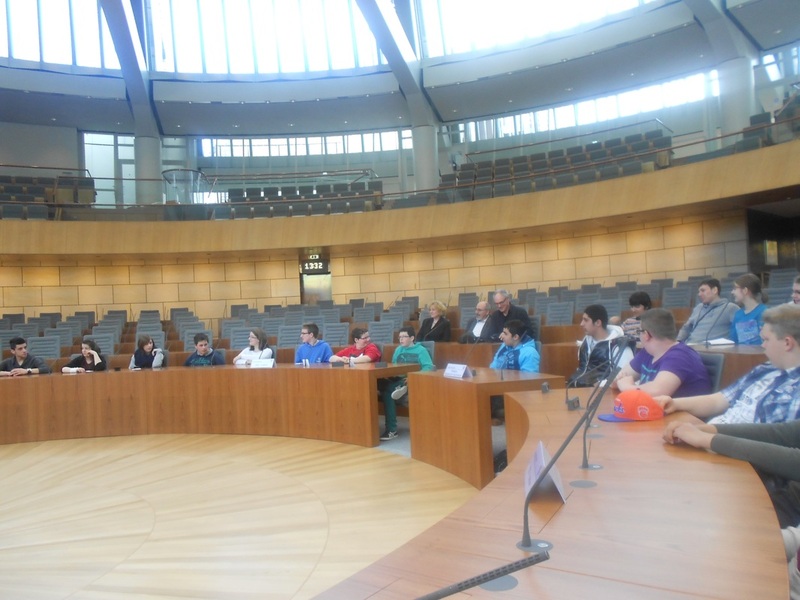 It is an introduction in words and pictures to our Land and, in particular, the place where decisions on our Land's future are made: the Landtag or State Parliament. It is an outline of who holds political responsibility here in North Rhine-Westphalia and of how this responsibility is enacted. It aims to be a kind of political guidebook especially for people who travel light and therefore want to have all the basic facts to hand in a clear and concise way. Officially opened on 2 October 1988, North Rhine-Westphalia's Landtag building is the first completely new parliament building to be built in the history of the German Federal Republic. It was the first time that a German parliament had designed its future home itself and the first time that a parliament's own view of itself had been translated into architecture. 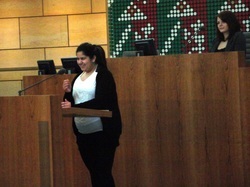 the task of legislating is split between the 16 Land Parliaments and the German Federal Parliament (Bundestag). For all matters which directly affect the Federal Republic as a whole - such as, for example, foreign policy and defense policy, currency issues, atomic policy, the postal and telecommunications services - the German Federal Parliament (Bundestag) in Berlin has sole and exclusive authority to legislate. 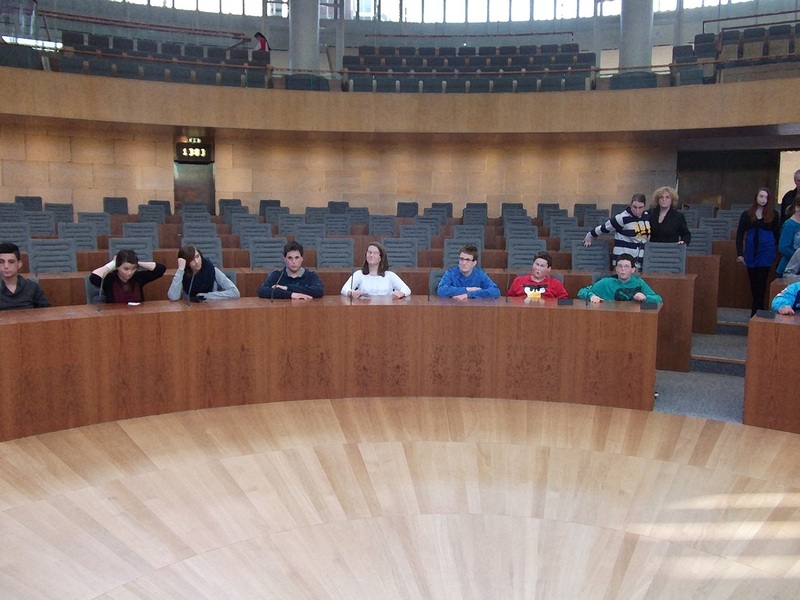 We were invited to visit the Landtag. Students from class 8 and 9 have had the big opportunity to make a discussion about the theme: “what is better for students, economy and society: 4 or 6 weeks summerholidays”.